Though it may be surprising to see Grammer being so open about his anti-abortion views, it shouldn’t be. The actor has repeatedly discussed his conservative political views in countless interviews. They don’t always match exactly with what mainstream Republicans would like the GOP to stand for, but that hasn’t stopped Grammer from identifying himself as a conservative. 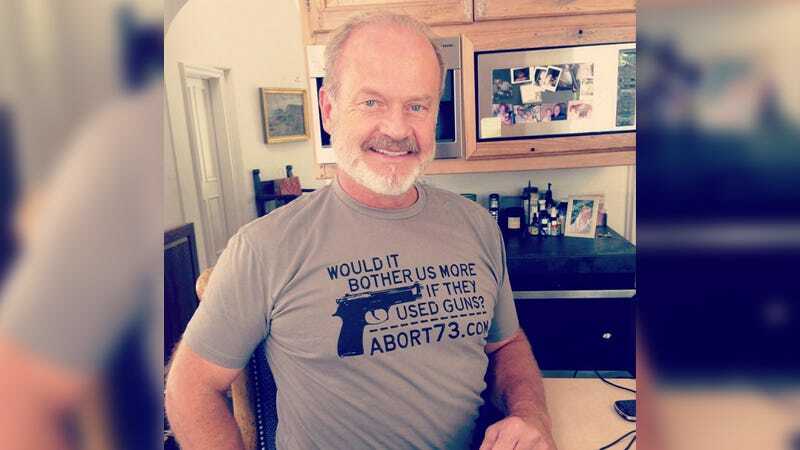 In a 2010 profile, New York Magazine described him as a “fervent conservative.” At the time, he identified as pro-choice, though he said he did not “advocate for abortion.” For that piece, he didn’t wear an ugly T-shirt, but rather an adorable pink boa.